Can Big Data be Big in South Asia? 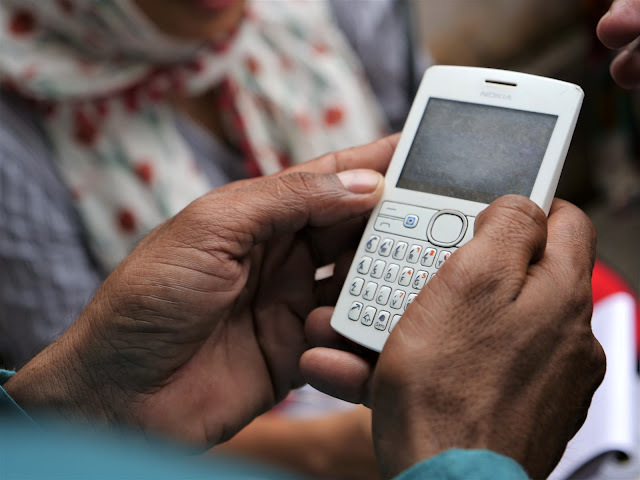 How can emerging economies tap into the benefits of big data for financial inclusion? This article draws on a panel discussion on Big Data, hosted by IFMR LEAD and BRAC at the What Works Global Summit 2016 in London recently. Authors Parul Agarwal, Shreya Chatterjee, and Tanjilut Tasnuba (team leader, BRAC) explore crucial questions related to the advantages and challenges in utilizing big data to promote financial inclusion in the South Asian context. What is Big Data for Financial Inclusion? 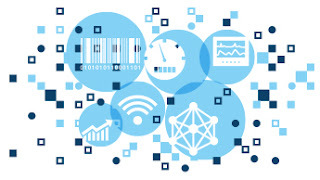 With the emerging nexus between financial service providers, mobile network operators and technology solution providers, there exists an immense quantum of data, which if utilized accurately has the potential to drastically and efficiently alter efforts made to bring the unbanked into the formal realm of financial services, not only at a basic level but as regular users. Big Data for financial inclusion is primarily being used to provide easier access to financial services, improving product suitability and increased security for service providers and clients. In promoting better and easier access, it is being used to provide credit scores to those without a decipherable prior presence in the financial ecosystem and simplifying know your customer processes. In improving product suitability, it is being leveraged to segment customers better, targeting the right products for the right consumers and improving product design. In improving security, it is helping financial service providers detect fraud more cost effectively. In Kenya and Tanzania, M-Shwari and M-Pawa have been launched by Vodafone in collaboration with banks to provide small loans via electronic wallets. These loans are granted based on the mobile transaction recorded by the telecom operator. Third party organizations like Lenndo and First Access utilize smartphone data including call data records, recharge patterns, social media activity and internet browsing behavior to generate innovative credit scores for those who may not have any digital financial footprint previously and provide them to banks and MFIs to determine their eligibility for loans that would have been formerly accessible. Cignifi, another third party service organization partners with mobile network operators to segment their clients and better target mobile money based on mobile phone data. In China, E-Commerce giant Alibaba uses its transaction data, user ratings within the industry and revenue growth, to create credit scores for vendors in its e-commerce platform and its wholesale vendor platform Taobao in order to advance them working capital loans as per requirements. Zoona, an agent network driven mobile application that facilitates person to person payments uses big data analytics to evaluate and empower its agent networks, by monitoring and analyzing in real time the performance and operational requirements of its agents across the country. In India, the opportunity for big data is immense despite low current levels of take up – with just 0.5% of the population using mobile money. The government has emphasized on opening formal bank accounts, disbursing debit cards and driving focus on increasing acceptance of Aadhar as a nationwide biometric identity. At a regulatory level, licensing of payment banks that will deliver services on various digital platforms and the open release of the unified payments interface is expected to improve access and convenience in usage of available digital products. With 1026.6 million telephone subscribers, and increased take up of digital financial products, the next few years will see the generation of a huge amount of financial data that can bring more individuals into the formal realm and decisively integrate those at the periphery. Bangladesh too, is one of the fastest growing markets in South Asia for mobile money with 33% of the population using mobile money and 13% being able to use mobile phones to complete higher order activities like paying bills or takings loans. At a regulatory level too, 28 banks have been licensed to provide mobile financial services. At the very preliminary stage, accumulated data of MNOs, MFSs and MFIs can give a better understanding of client’s behavior pattern to design need based product. Upcoming national digital identification number can open up a vast scope for financial institutes to utilize the system in client enrollment which can later help identifying risky borrowers, understanding financial performance with other institutes and reducing multiple borrowing. In both India and Bangladesh, there are certain use-cases of big data utilization that must be considered. In India, companies like Capital Float, Lendingkart and Neogrowth use financial transaction and e-commerce data to create credit worthiness scores for small businesses and design customized repayment plans. An MFI, Janalakshmi uses geo-spatial data along with administrative data to better deploy its resources. In Bangladesh, Telenor’s mobile insurance product has found success alongside Tiaxa, a global player that has piloted its mobile recharge nano-loan product. However, emerging economies have a separate set of challenges when it comes to utilizing big data effectively. While growing, the digital footprint of low income households is sparse and the efforts have to be diverted to building the footprint rather than utilizing it. There is limited technically skilled labour available to utilize the data at a large scale. The current models of data sharing tend to be sub-optimal, with either companies being unwilling to share data in order to protect their competitive edges, or too much sharing with limited resources to effectively mine the data. Finally, given the nascent stage of these practices, fair customer protocols related to sharing data are yet to be developed. Even in terms of replicating global success stories, it is difficult to predict which model will bring better solutions and results, given how contextual success is. There is limited evidence on what works and ecosystems are different among countries and even within in India, the context is diverse and varies from state to state and region to region. The stakeholders too vary in nature and function with distinct objectives which could be challenging when it comes to replication. The ecosystem of Bangladesh, possibly, is not ready for a big data overhaul yet - Regulations governing MNO, MFS and MFI have limited scope for big data incorporation. Data security can be big challenge which may require the customization of information related acts in the constitution. Moreover the concept of “informed consent” has to be done due justice, as rural clients maybe unaware of the implications of sharing their data. In India, the regulatory environment is not a challenge as it is conducive and acknowledges the potential of digital technology. Data security could possibly be a challenge especially in case of consent, with similar issues as in Bangladesh. The core issue, for both countries, however lies in that even though digital technology is automated, cheaper and efficient as opposed to people, time and money intensive traditional processes, some sections of the society continue to prefer high touch models. There is a strong need of segmentation and defining what is achievable- some segments of consumers maybe more amenable to assisted models over purely digital products. In this nascent stage, it is important to consider poor strategies in utilizing big data – firstly, incorrect algorithms constructed on weak data, for credit worthiness scores that fail to predict accurate future financial behavior may distort the credit scores of early adopters. Secondly, the wastage of resources through push marketing is driven by poor segmentation of consumers. At the present state of the ecosystem, for both the countries, as a starting step, innovative products can be designed if financial institutions use their administrative data effectively. Institutions working in the domain of financial inclusion often lack the technical resources required for data analytics. They possess a large repository of data which if used in a correct fashion, can speak volumes about the customers they deal with and can help them move away from vanilla products, especially in case of credit and savings products. The drive should be in spearheading efforts to use data that already exists, and consider them pilot runs to using big data, which in the meanwhile will continue to be generated, as the digital future takes shape.